When you land in Cuba, you become a part of the tug of war the country is now experiencing of defining what is the Cuban culture. On one side, Cubans are deeply entrenched in the past and its traditions. The other is of a future Cuba that includes modernizations and the creation of a new economic and political model. After decades of political embargo by the US and its allies, Cuba is changing rapidly. “Obama did a lot for our country,” said our Afro-Cuban guide Alberto as he points out the American embassy that has recently opened in Cuba. Alberto showed us how Cuban youth were embracing hip-hop and how modern phones and Facebook turned a late night street corner near the Department of Exterior, into the gathering spot to get internet access for a few CECs (Cuban currency) for the password to a secured wifi site. Alberto also showed us the hangout for the newly “out” LGBTQ community that was benefiting from the new government changes. This population, under Fidel, was ostracized into an underground existence. Now, they throw rave parties and socialize in an open, yet segregated, part of the city. The most obvious change is the aesthetic texture of the island. Only 90 miles from Miami, the Art Decor architecture of the pre-revolution is frozen against its Caribbean sky, paying homage to a time when Cuba was more affluent and arguably more divided. In stark contrast, modern hotels under construction from Chinese owned companies, now compete for the same visual space. The former Hilton Hotel which opened in the 1950s and the more modern Amelia Cohiba are icons to what was and what is to come. tags that exceed $60,000, the American classic was a monument of pride and achievement. Now the sound of the classic motors is muted from the bass, treble and subwoofer from Kia and Mercedes Benz newly imported cars which are available to the elite in an economy that is Socialist in its design, yet almost caste like in its execution. The Socialist economy of pre-President Obama Cuba was one of slow, often stifling innovation. Now, Cubans are able to apply for permits for AirBNB rentals, neighborhood cafes and independent cab drivers. The hybrid government partner entrepreneurship allows for an emerging elite and middle class Cubans who will want amenities to accompany their new found economic status, that more closely resembles Capitalism than its Socialist enemy. The biggest change that most Cubans say that has challenged the country the most is the arrival of the Americans. Once considered the enemy of Cuba and everything it valued, the tourist Visas are flying through Cuba’s custom department, which requires different resources - more schools to teach English to Cubans in all industries as the non-Spanish speaking foreigners infiltrate a land, that was once only one language. And as the language barrier dissipates, so do the misconceptions from decades of distrust between the two countries. “Americans are smart and nice,” said Ernesto. “Not like in the movie where there is a lot of drunk people and fighting.” Ernesto, has a sister, who married an American and was now living in Miami. He was hoping to visit Florida to see her and his nephew soon. His English was helping him with that process and making his cab business a lucrative occupation. The struggle of change and independence will be a difficult one for Cuba. Only time will tale if both are possible. When I first discovered the HGTV show "Fixer Upper," I couldn't tell you why I loved the show. The remodels were modest. The families that owned them equally so, but there was something so appealing about The Gaines family. I began texting friends and sharing on Facebook, 'You have to watch this new show set in Waco, TX of all places.' People asked what was the appeal and at the time I couldn't articulate it, but after listening to the story of this dynamic duo, I have the one word that capture the appeal: genuineness. 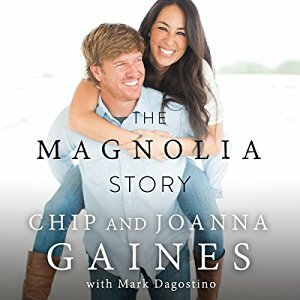 The Magnolia Story is a quick recap of what brought this couple into our lives - the peculiar happenstances, the odd idiosyncrasies and the magnificent miracles that pushed two individuals who were seemingly very different down a path that was uniquely designed for them. 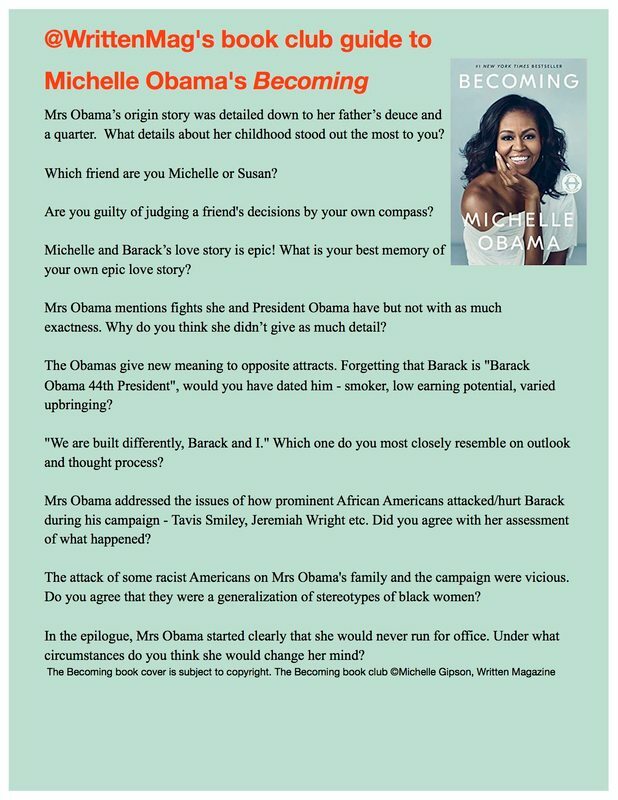 Congratulations to Sheronda Gipson, one of the winners in the #WriteClubAtl competition. Write Club Atlanta takes literature with to a "bloodsport". It takes two writers and gives them a topic to write a 7is minute creative muse. Each writer performs their piece and the audience votes on the winner. The winner has a donation made in their name to the charity of their choice. Ms Gipson competed in the topic of "War" and her opponent was "Peace" and her charity was the Ida B. Wells Museum in Holly Springs, MS. To learn more about #WriteClubAtl find them on Facebook.